Diversity is not a new phenomenon, but in recent years the use of the term has exploded in academic as well as public debates about the constitution of modern societies. Yet, the meaning of diversity remains highly contested in both arenas. 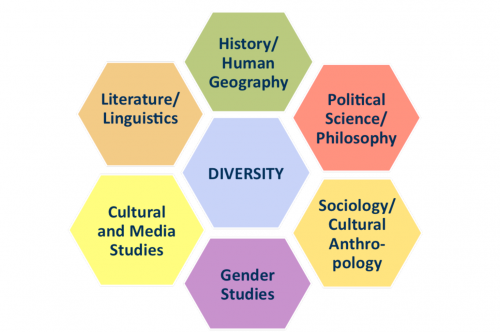 Interest in societies understanding themselves as “diverse” in terms of ethnicity, language, religion, knowledge, gender and sexual orientation, etc. 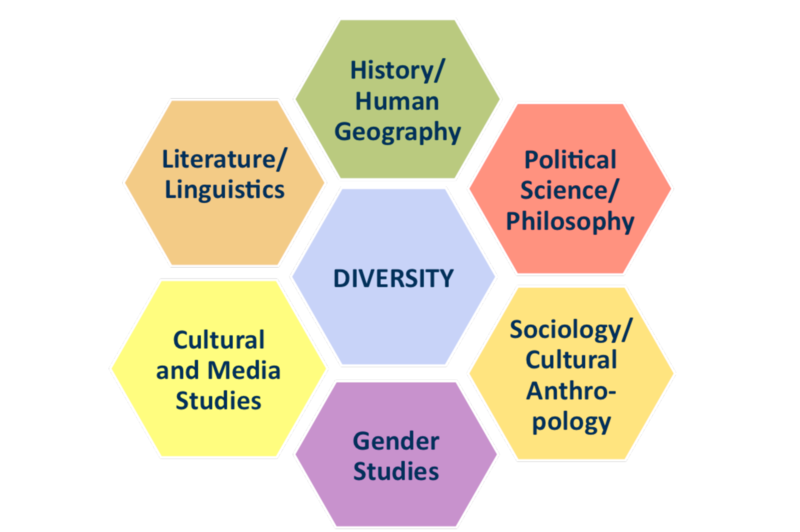 has increasingly raised questions about the history, the political as well as the symbolic representation, and the cultural embeddedness of diversity, thus opening up a wide territory for explorations in which disciplines such as literature and sociology, history, political science, geography, media, cultural and gender studies intersect. The IRTG investigates, from an interdisciplinary perspective, the changing patterns of mediation and translation of cultural pluralism and diversity over time by focusing on the politics, practices, and narratives of cultural diversity in the sliding-scaled spatial zones of Montréal-Québec-Canada-North America and of the SaarLorLux region-Germany/France-Europe. We approach these spatial zones as multi-layered, concrete as well as symbolic spatial configurations (not just local-regional-national-transnational or urban-rural, but also public-private, formal-informal, legitimate-illegitimate, actual-remembered-forgotten, etc.) in which micro- and macro-social processes are related and work together in a crisscrossing of temporal levels.